The people of the UK are angry, May sold them out, the EU and the establishment did what they alway intended to do, keep the UK exactly where it is with a deal that is so bad it doesn’t even resemble a UK exit from the EU. US household debt hit another all time high. Industrial production slows. The MSM and the deep state fall fro the Trap. They are trying to use excuses of why the Fed should stop raising rates. Judge grants CNN a temporary pass into the White House. GOP gains were not counted because they arrived past the deadline, two minutes late at 3:02. Rubio has proof of election fraud. Trump warns of caravan, bad people are intermixed in the group. Sen. Lindsey Graham is now the Chairman of the Senate Judiciary committee. The indictment against Assange accidentally was leaked to the public. House block an amendment to end the war in Yemen. Q dropped bread a while ago about 3:02 and 53-47, this was in the past, today we get confirmation of these numbers. The biggest takeaway from this Brexit fiasco is that even more people will check out of the political system. US Industrial Production growth slowed once again in October, rising just 0.1% MoM (and revised lower historically).. So isn’t it just a little ironic that The Wall Street Journal – says The Fed needs to slow down on the rate-hikes. For now the American economy and especially the labor market seem strong But the German economy shrank 0.2% in the latest quarter, the first contraction since 2015. Europe’s largest economy will still grow this year, but a trade surplus and negative interest rates aren’t a growth tonic. Europe in general seems to be reverting back to its post-crisis mean of meager growth. Beijing last month said China’s economy grew a surprisingly slow 6.5% year-on-year in its latest quarter, and that official figure is usually an overstatement. Judge Timothy J. Kelly of the U.S. District Court of the District of Columbia granted CNN a temporary restraining order Friday, saying that the White House must return CNN White House Correspondent Jim Acosta’s press pass.The judge did not rule on whether President Donald Trump and his aides violated Acosta’s First Amendment rights by suspending the hard pass in the first place.Kelly did, however, rule on CNN’s Fifth Amendment argument that Acosta was denied due process before revoking the press pass, thus granting temporary relief by ordering Acosta’s pass be returned.The White House said it will abide by the judge’s ruling and return Acosta’s pass.“Today, the court made clear that there is no absolute First Amendment right to access the White House. In response to the court, we will temporarily reinstate the reporter’s hard pass. It’s a temporary restoration of Acosta’s pass. Full arguments have yet to be heard. Florida Republicans Rick Scott and Ron DeSantis would have increased their margins of victory Thursday if Broward County did not narrowly miss the 3 p.m. deadline by 2 mintues, which is 3:02 (where else did we see this number, back to this in a minute) to submit machine recount results for the state’s midterm elections. 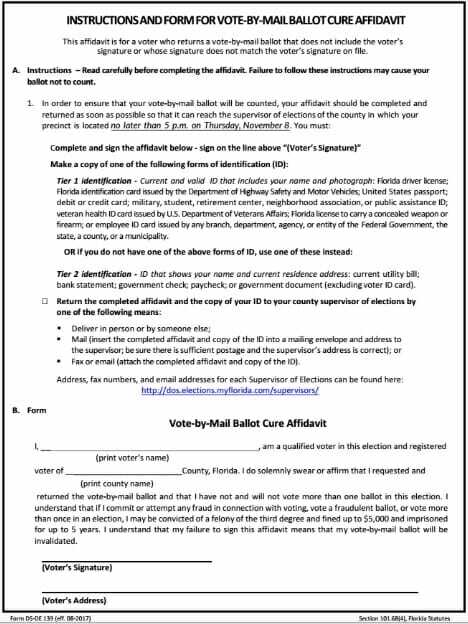 Florida shows that Florida Democrats were organizing a broader statewide effort beyond those counties to give voters the altered forms to fix improper absentee ballots after the Nov. 5 deadline. Democratic party leaders provided staffers with copies of a form, known as a “cure affidavit,” that had been modified to include an inaccurate Nov. 8 deadline. The shuffle would put Graham, in charge of the panel handling judicial nominations. “Earlier this week, Senator Lindsey Graham said if he became the Chairman of the Judiciary Committee he would further investigate the FBI’s botched probe of Hillary Clinton’s private server.” BOOM BOOM BOOM!!! when you see a photo in The New York Times or The Washington Post or a video on CNN or the BBC or MSNBC. “What do you see? The entire framings are women and children when the reality is so far from the truth: 90-95 percent of all the people in this caravan are men. What would happen if terrorists, like the IS, Al-Qaeda or Drug dealers, human traffikers, MS-13 gangs are in the migrant caravan? What would happen if they were captured? WikiLeaks: Julian Assange Charged in U.S. The US Trump administration has issued sanctions against 17 Saudi nationals for their alleged role in the killing of journalist Jamal Khashoggi, announced US State Department spokesperson Heather Nauert from Washington DC on Thursday. “The State Department will continue to seek all relevant facts. We will continue to consult Congress and work with other nations to hold accountable those who are involved in this killing”, Nauert stated. On November 14 House Republicans blocked a resolution to end war in Yemen by ending US military support for Saudi Arabia and the UAE. The resolution called “Manage Our Wolves Act” included a Dem provision on Yemen, solely for political reasons, a grandstanding stunt, not one of conviction. During Thursday’s UN session, the Saudi Arabian delegation submitted a resolution that called on the international community to condemn Syria for human rights abuses. In response to the Saudi resolution, the Syrian delegate Dr. Bashar Al-Ja’afari slammed the Gulf nation for their own human rights abuses within their own country and in the international community.